Getty ImagesJohn Kavanagh (top) is the head coach for Conor McGregor. Conor McGregor’s head coach John Kavanagh has admitted that mistakes were made during preparation for the UFC 229 fight against Khabib Nurmagomedov. 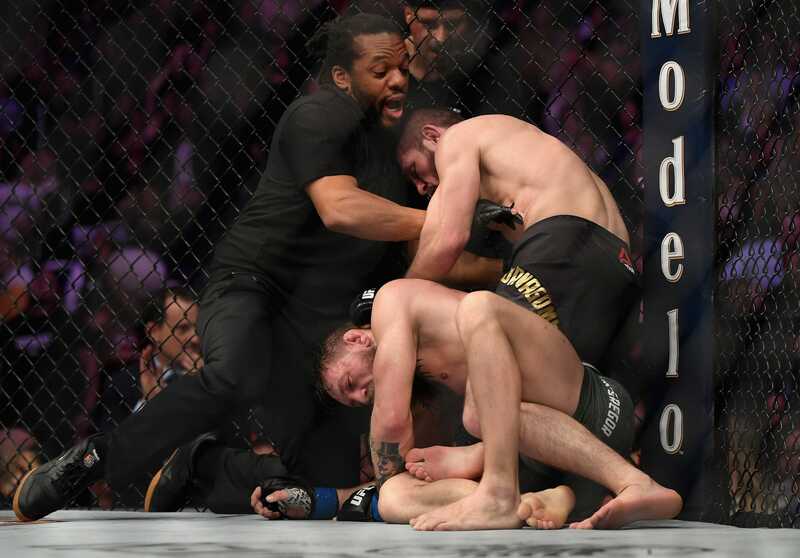 Kavanagh claims he may have been “too defensive” in his approach, and this could have had a negative effect on McGregor in the octagon as his significant shots were off. A rematch has been talked up and if a second fight were to go ahead, Kavanagh would reverse his entire pre-fight approach. Read all of Business Insider’s UFC 229 coverage here. Conor McGregor’s head coach has admitted that mistakes were made when preparing the Irishman for battle against Khabib Nurmagomedov at UFC 229 on Saturday. Coach John Kavanagh is the second degree jiu-jitsu black belt who oversees mixed martial arts at the Straight Blast Gym in Dublin. He has also been responsible for taking McGregor, a cocky teenager he once “beat the s— out of” to prove a point, into a two-weight champion in Cage Warriors and UFC. Kavanagh has been McGregor’s lead coach for his biggest fights – the 13-second knockout win over José Aldo in 2015, the two-fight rivalry with Nate Diaz in 2016, and the boxing rules contest with Floyd Mayweather in 2017. The pair have rarely put a foot out of step in the UFC octagon, but Kavanagh conceded on The MMA Show, a popular podcast on the Joe Rogan Experience, that preparation for McGregor’s fourth round submission loss to Nurmagomedov may have been completely wrong. “If there was one thing I could change, it’s that I think I was too defensive in my mindset for this training camp,” he told Rogan. Though McGregor’s loss was conclusive, he has already begun campaigning for a rematch. He took to Twitter to express his desire for a second fight the morning after the defeat, and later added he had “won the battle” and that the war is not yet over. Fight statistics from ESPN indicate that McGregor landed 68.8% of his total standing strikes, compared to Nurmagomedov’s accuracy of 34.3%. There are, therefore, positives for Kavanagh to take from the bout. But Nurmagomedov dominated when it came to significant head shots (58 to 34), scored a knockdown in the second round, and won 1-0 when it came to submissions. His submission in the fourth round, a tight neck crank, ended the fight for good. Photo by Harry How/Getty ImagesKhabib Nurmagomedov made McGregor tap in the fourth round. Out of all the rounds, it is the third that Kavanagh thinks “showed promise” for McGregor. But, if they were to do it all again, he would likely reverse his entire pre-fight approach to training. But Kavanagh pointed out how well McGregor has done in rematches before. After he was submitted by Nate Diaz in a quickfire two-round blowout at UFC 196, McGregor came back just four months later and beat Diaz by decision at UFC 202. 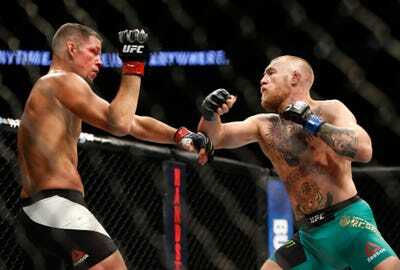 Getty ImagesMcGregor bounced back from defeat to Nate Diaz, by winning a decision four months later. “When he lost the Diaz fight he screamed backstage about a rematch,” Kavanagh said. “And I’m in the background thinking please don’t. He’s a terrifying individual. But he was not letting that go. And four months later he fought the same guy” – and he won. Though Kavanagh and McGregor left the T-Mobile Arena with a loss at the weekend, he said he “still enjoyed it” even though he was “hugely disappointed” with the result. McGregor was recently given a medical suspension, which means he will be unable to fight until early November, and won’t be permitted to engage in contact training, including sparring, until the end of the month.